Dr. Anil Swami is a Board Certified Ophthalmologist who specializes in the treatment of eye injuries and diseases. Dr. Swami is a graduate of the prestigious Harvard Medical School. He completed his ophthalmology training at Baylor College of Medicine and a fellowship in LASIK and Corneal Surgery and Disease at New England Eye Center Tufts University) and with Harvard Medical School professor Roger Steinert. He has over fifteen years of experience in ocular surgery and specializes in LASIK, cataract surgery, inflammatory diseases of the eye, and corneal disease. 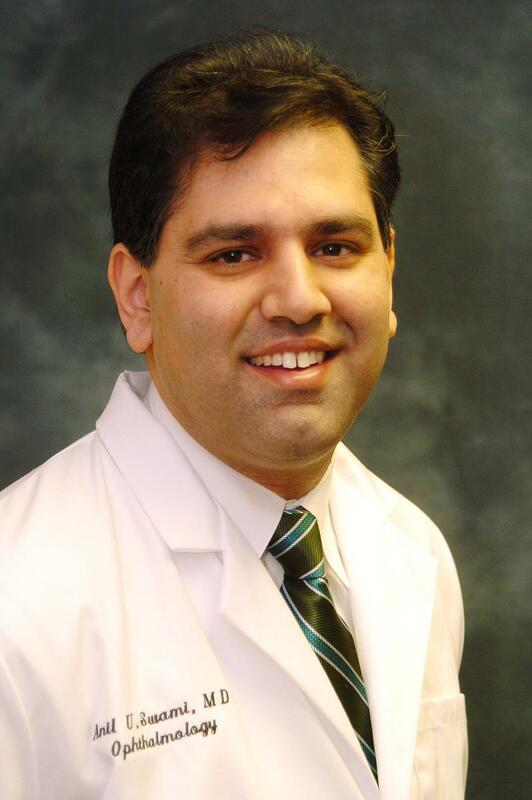 Dr. Swami has been named a Top Ophthalmologist by Consumer's Research Council and is on staff at William Beaumont Hospital (Troy and Royal Oak) and St. John Hospital (Macomb and Oakland). Copyright Ophthalmic Consultants of Michigan. All rights reserved.